Choosing a bed for your child can be a bit of an overwhelming process. Bed frame or ensemble? And then what about the mattress? 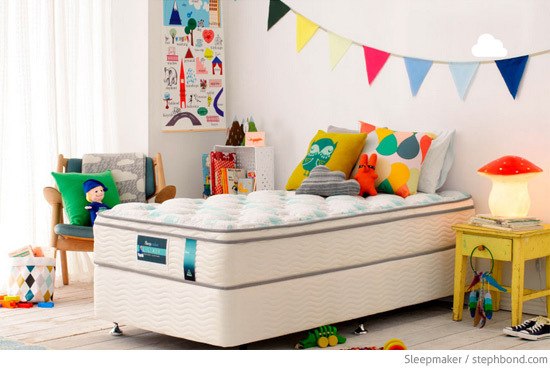 SleepMaker has a great option for kids in Australia with the Singles mattress and ensemble base. What a great-looking room, styled beautifully by the folks at Harvey Norman. 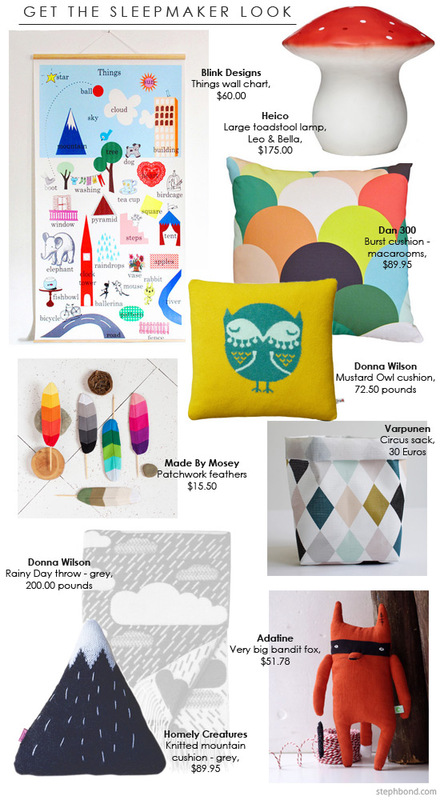 Here are a few ideas to recreate a similar look yourself. Maybe with some fresh bedding from Bramwell Designs? The Climatex® Quilt cushioned sleep surface relieves pressure on little ones' limbs, and feels ultra-luxurious. The quilt top is breathable and helps prevent uneven wear on the mattress surface. This point is important for us. The Ultra-Fresh® antimicrobial treatment actively guards against dust mites (which can trigger asthma and allergies), and eliminates many of the bacteria and fungi that can create unwanted smells and staining. 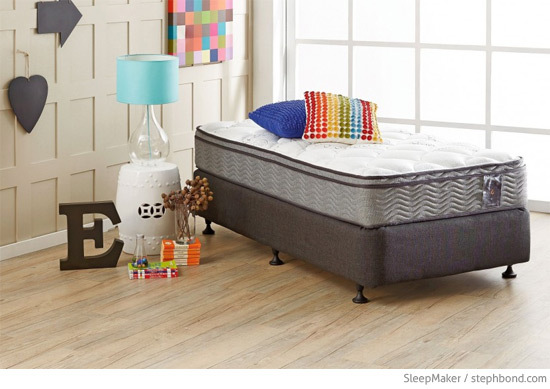 SleepMaker Singles mattresses and ensembles are available at stockists including Domayne, Myer, Sleepy's and Harvey Norman in Australia.